Our final game, Civilization 5, gives us an interesting look at things that other RTSes cannot match, with a much weaker focus on shading in the game world, and a much greater focus on creating the geometry needed to bring such a world to life. In doing so it uses a slew of DirectX 11 technologies, including tessellation for said geometry, driver command lists for reducing CPU overhead, and compute shaders for on-the-fly texture decompression. 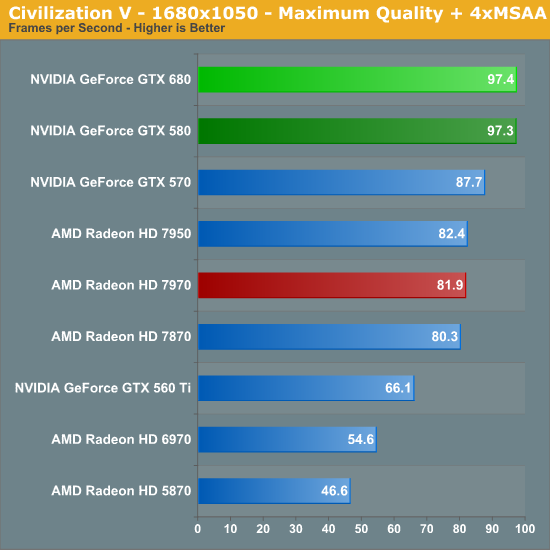 Remember when NVIDIA used to sweep AMD in Civ V? Times have certainly changed in the last year, that’s for sure. It only seems appropriate that we’re ending on what’s largely a tie. 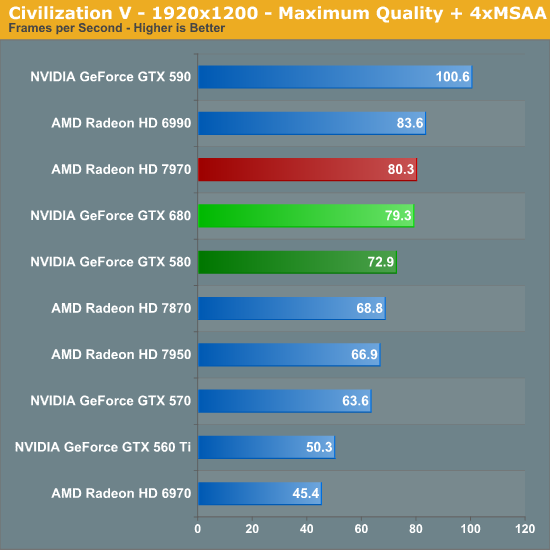 At 2560 the GTX 680 does have a 4% lead over the 7970, however the 7970 reclaims it’s lead at the last possible moment at 1920. At this point we’ve seen the full spectrum of results, from the GTX 680 losing badly to winning handily, and everything in between. 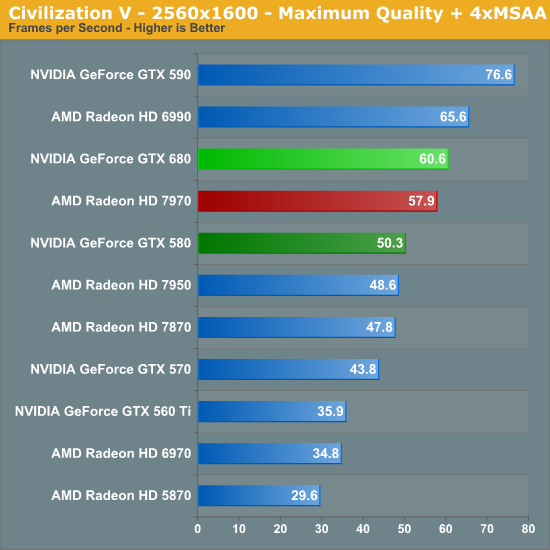 On a final note, it’s interesting to see that the GTX 680 really only manages to improve on the GTX 580’s performance at 2560. At 1920 the lead is only 8%, and at 1680 we’re just CPU limited. Haswell can’t get here soon enough.